Sobti was awarded the Sahitya Akademi Award in 1980 and the Jnanpith award in 2017 for her contribution to Indian literature. In 2018, she released her autobiographical novel — 'Gujarat Pakistan se Gujarat Hindustan'. Krishna Sobti, legendary Hindi writer, passed away early this morning in Delhi. She was 93. Born in February 1925 in Gujarat- Punjab, now a province in Pakistan, Sobti began her writings in poetry and then went on to write fiction which won her several awards. Sobti was awarded the Sahitya Akademi Award in 1980 and the Jnanpith award in 2017 for her contribution to Indian literature. In 2018, she released her autobiographical novel — ‘Gujarat Pakistan se Gujarat Hindustan’. “Writing is a conversation with your self that takes place in language. You capture the sound of your soul, and also the outside noises. I prepare three drafts. As you write the first sentence, you share half of your authority with the text. 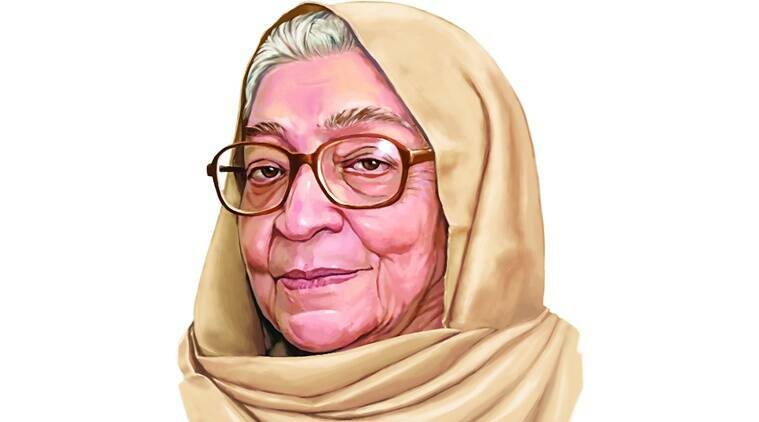 Krishna Sobti won the Sahitya for her novel Zindaginama. Some of her other novels are Dara se bichuri, Mitro Marajani and Surajmukhi andhere ke. Sobti has also received the Shiromani Award in 1981 and Hindi Academy Award in 1982. Sobti refused the Padma Bhushan during the UPA government, and returned the Sahitya Akademi fellowship in 2015 that was awarded to her in protest against ‘rising intolerance in society’.